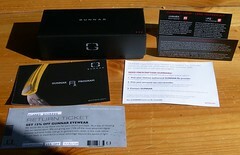 I first learned about Gunnar Optiks computer glasses at PAX Prime in 2009. Gunnar Optiks makes glasses designed for computer users. They are available in prescription and non-prescription flavors. They use a special tint and lens geometry to improve screen clarity and reduce eye fatigue. You can learn more about the technology here. A couple months ago I ordered a pair (Anime style in blue). They work well do make the spreadsheets easier to deal with. The increased contrast is helpful, and my eyes don't dry out as much following marathon sessions. They are most effective in bright rooms. The lenses are least effective when I am not only in a dark environment (like a hotel room where I have many of the lights out), but also when my laptop screen dims to conserve battery life. Since they are tinted, they do distort color a little bit. They amber lenses warm the colors on the screen. It works well for general office work and light image editing, but graphics professionals may prefer the non-tinted version. They are also helpful when I'm watching an LCD TV. This post is not primarily about the glasses, though. It's about the packaging. I ordered directly from the company, and they shipped them in a padded envelope. Inside the envelope they added a coupon for my next pair and assorted product literature. The glasses were inside a cardboard box. I lifted the lid and found foam protecting an inner box. That covered a metal box. Inside the metal box, there is a lens cleaning cloth/bag. 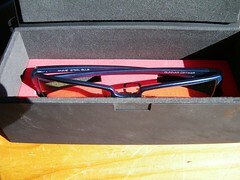 Beneath that, I finally found the glasses, secured in cardboard. This is awesome packaging, and if I used them solely at my desk, I might be willing to use the packaging. It's a little too bulky and pointy (metal corners) to travel with, though. And I'm not sure what TSA would think of that rectangular metal box. So I took the cleaning cloth/bag, and re-purposed an old Eddie Bauer sunglasses case. It provides adequate travel protection. The other problem I have with the packaging is that the literature is too big. 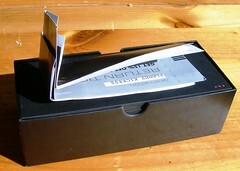 The cards and flyers should be small enough to fit in the cardboard box, but they aren't. I had to fold and crease them up so they would fit. This may seem like a stupid thing to complain about, but Gunnar has guaranteed the literature will go in the trash. If it was a more basic packaging job, the literature wouldn't bother me. But they spent a lot of money on this. It seems silly to not coordinate the literature size with the box size. 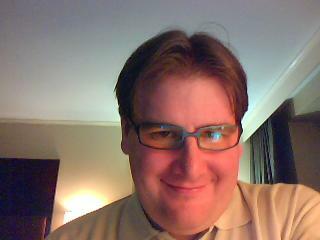 Regardless, I'm pleased with my glasses. If you spend alot of time looking at computer screens, and color correction is not critical, you may want to check them out. At first I didn’t like the idea of a bus tour. It seemed too – ordinary. As though it lacked adventure. But since our trip to Tokyo was a long one, and since I really knew nothing about what I was getting myself into, I though a bus tour might be a good primer on the city. The Shoebox Chef and I gave our third day of the trip over the Hato Dynamic Tokyo full day bus tour. The yellow and red busses scurry from one Tokyo attraction to another. If you visit a major attraction, odds are there’s a Hato bus in the parking lot. The tour cost 12,000 yen per person (approximately $120). They picked us up at our hotel, took us to the bus terminal, processed our tickets, gave us green stickers for our shirts, and we were off. The busses have assigned seating, just like most major airlines. The seats are a little snug, but not too bad. If you was a little extra space, try to get a seat on the left side of the bus, because those aisle armrests will lift up. The tour took us to Tokyo Tower, a Tea Ceremony, BBQ lunch at the Four Seasons, the Imperial Palace Nijubashi Bridge, a half hour river cruise, and finally, the Sensoji Temple in Asakusa. (Future posts will detail those visits. )They then took us all back to the bus station and we all boarded shuttles for our hotels. The primary challenge of a bus tour is getting everyone on and off the bus in a timely manner. Unlike touring on your own, you are a slave to the bus schedule. You don’t have the option of lingering. And one you are on the bus, odds are you still have to wait for others before the bus can leave. Touring starts to require a stop watch. At the sites, there is less exploring. Because you are on the mission and time table you follow your guide. In this case, we spent the day following a golden Koi around the city. Our guide, Nobu-san, was awesome. She was knowledgeable, entertaining, and funny. She shared great trivia and history about Tokyo, and taught us all a few key phrases of Japanese. Her English was excellent. The biggest disappointment on the tour was the stop at the Sensoji Temple. It was the last day of a 3-day festival there, which sounds like it should be the perfect time to be there. Unfortunately, the crowds were just too massive. Most people in our group ended up not visiting the temple itself because it would have taken too long to get there and then get back in time to catch the bus. I can’t really blame Hato for that, however. Despite the limitations of the genre, I’m glad we took the tour. We got to see and do things we certainly would not have otherwise. On our own, we wouldn’t have participated in an abbreviated tea ceremony or had that BBQ lunch. We might have made it Tokyo Tower and the Imperial Palace, but without the context Nobu-san brought. The cost is the only thing that keeps this from being a full recommendation. It’s just a little more than I would like. I would likely have felt better about the cost of the stop at Sensoji went a little better. But I’m glad we did it. This video is the first 10 minutes of the tour. Most of the video is the streets of Tokyo we drove through. You can hear Nobu-san introducing the tour in the background. No, I’m not talking about a new dating site. I’m talking about connecting cables. And no, that’s not a new dating site either. Connecting home entertainment and computer equipment can be challenging. Often it’s hard enough to figure out just which cable goes where. But have you ever tried to do it when your equipment was already against a wall? Or where you couldn't even see the plugs for some other reason? One solution is to use a mirror and a flash light. And that’s a good solution, especially if you have three hands to work with. If you don’t have a spare hand, though, take a look at your video camera. When I attached my monitor to a monitor arm, it worked great, except I couldn’t see the plugs where the cables go because the ports faced down and I was looking at it from above. I pulled out the hand held video camera, flipped the screen around, turned on the camera light, and now I could see everything I needed to. On Friday, the GF and I took advantage of some discount tickets I got through work and went to see Kooza at Marymoor Park. Long time readers may recall that I am a big fan of Cirque. I've seen several of the Vegas shows and touring shows. The last time I went to this park was a couple years ago, and that was to see Corteo. I enjoyed Kooza and even thought I understood the show this time. When I got home, I saw this description and realized I was completely wrong. I thought it was just the life cycle of a boy as he grows through adolescence, experiences adulthood, confronts death, and finally learns to appreciate the simple joys of childhood again, only this time with a new confidence and hope for the future. I need to stop trying to understand Cirque and just enjoy it, but it's hard. I want the narrative. Regardless, there are clowns, then a boy with a kite. The boy gets a package, and a jack-in-the-box pops out with a magic wand. He waves his wand, and bendy women show up. We're off to the races. The show includes the music, contortionists, acrobats, trapeze, and generally impossible acts I've come to expect from a Cirque show. While individual acts are amazing, there's nothing terribly earth-shattering here from a concept stand point as compared to other Cirque shows. That said, it is well executed. The show is paced well; it doesn't drag or run too long. It also doesn't go by so quick the audience feels cheated. It's a great way to spend the afternoon. The clowns were better behaved at this show. At many shows, they tend to go overboard with the audience interaction, to the point where I always hope I am not in a seat within easy reach of them. I felt they were particularly bad at Mystere. 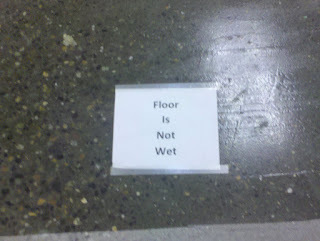 It wasn't an issue at this show. The audience members who bore the brunt of the clowns' harassment appeared to be plants. The highwire act was just amazing, especially when they rode across the wire on bicycles and balance a third acrobat above them. The hula hoop woman was impressive, as was the dancing/balancing couple. The wheel of death guys were kind of crazy. As the wheel with two circles on spokes descended, the stage hands also lowered plastic shields in front of us. I don't know if these were to protect the performers from falling, or to protect the audience from sweat. Regardless, this seemed to be the most dangerous act in the show. As the guys flipped and jumped on their wheels, it often looked like they would come flying off from 30' in the air. Not only was there a decent chance they could die, there was a chance these dudes would come flying out of their wheels and take out a few audience members while they flew uncontrolled though the tent. I was a little scared not just for them, but for me. The Teeter Totter act by what appeared to be the chorus also deserves mention for being just awesome and insane. I saw very few mistakes by performers in this show. Sure there were a couple, but overall, it was quite clean. And the mistakes that happened just added to the suspense. Our seats were off to the side. This made it easier to understand how some of the "magic" was done. It was easier to see the clowns palming things or the set and trap doors making vanishing acts possible. The seats in the tent seemed more comfortable than they did at Corteo. I don't know if they made them bigger or if I've gotten smaller. It's still tight, but not so tight it becomes a problem. Of course, I did get them sense that most of the acts could also me levels in Super Mario Galaxy. I don't know if that says something about Cirque or if it says something about Nintendo. Kooza may not have been my favorite Cirque show, but it is up there. Fans of Cirque will appreciate it, as long they aren't looking for anything too different from what they already know. If you enjoy Cirque, or just enjoy seeing the amazing things the human body can do with the right training, be sure to check out Kooza when it rolls through your town. I was waiting for a flight with dozens of people and one of them decided to have a loud cell phone conversation. I was about 15-20 feet away. I'm not going to discuss whether or not this is rude; plenty of other people have beaten that topic to death. He explained that he was recommending his executive team not open a a new store in New Mexico due to the high minimum wage. One of the candidates he interviewed did really well and will likely be invited to another round of interviews in Texas. Another candidate did well, but wasn't sure how interested she would be in the position. She had concerns about the job title. Phone guy felt they could convince her it was a good career move and she could learn a lot. Another candidate did really well, but then other issues came up. Phone guy had the definite impression that the candidate was currently working. The person he spoke with on the phone seemed to have conflicting information. Apparently the candidate was not currently working. Phone guy asked the person he was talking to to confirm that. If the candidate was not in fact working and implied that he was, then phone guy had no further interest in him. There are four lessons to take away from this. Be careful what you say when you are wearing company logo'ed apparel in public. Don't discuss sensitive information in public. You never know who else is in the airport. Don't lie in an interview. The world is smaller that many people realize, and if you get caught, it will kill your chances. 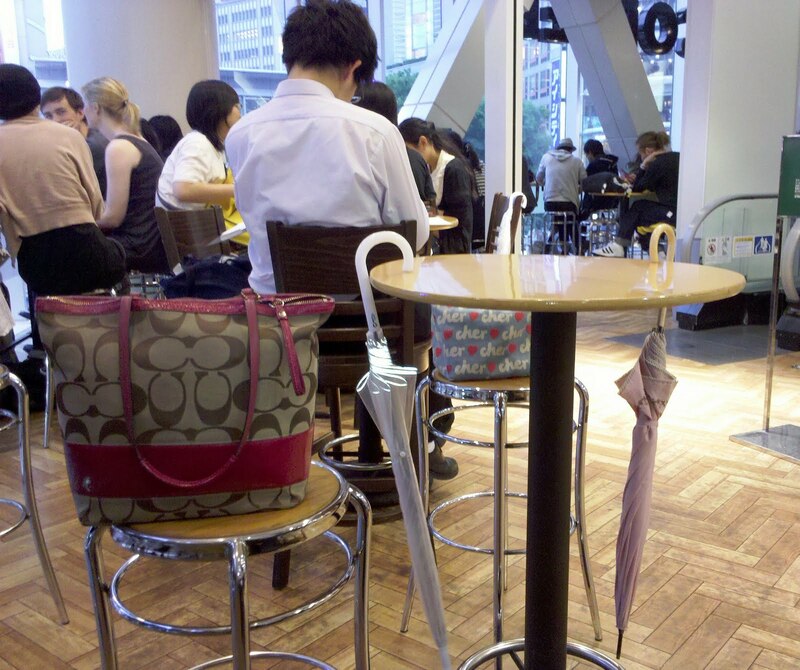 The Starbucks in Shibuya is one of the busiest in the world. The window seats have fantastic views of the seas of people flowing though the street. In many cities that awesome crowd would also be a reason to heighten your awareness of potential pickpockets and other charlatans. In Tokyo, that's not an issue. The Shoebox Chef and I were sitting on the second floor where I enjoyed a Matcha Latte. Two woman came up stairs and hunted for a table. One opened up and they pounced. They hooked their umbrellas on it, sat their not-cheap-looking purses down and left to go downstairs and get coffee. Not only were they comfortable leaving their purses completely unattended, they were apparently right to feel comfortable, because the purses were perfectly safe during the 5-8 minutes they sat there alone. Does that happen in any other major city in the world? One of the best kept secrets of Windows (besides System Restore) is that fact that Extended Desktop support has been available in the OS since at least Windows 98. It’s easy to see this on a laptop. Simply go into your monitor setting and on the screen where you can adjust the resolution, you will likely see two displays, though one may be disabled. Extended desktop means that I can have two monitors connected to one computer and see different things on different screens. For example, I can have Tweetdeck and instant messaging apps on one display while I have my email program and web browser open on another screen. When I move my mouse off the left hand side of one screen, the pointer shows up on the right hand side of the other one. It’s a fantastic productivity tool, and, let’s face it, having multiple operating displays just looks cool. Who doesn’t want their desk to look like some sort of command center? Some months back, I bought a second, bigger monitor for my desk. I got a decent deal on it at Costco. It’s the Samsung 2490HM. I like the size, and for a monitor, the quality is OK. There’s a band in the middle that appears to be slightly fuzzier than the rest of the screen, but it works. I already had an older Samsung 19” monitor attached to an Ergotron monitor arm on the desk. The monitor arm means I don’t lose physical desk space to the monitor, and that it’s easier to position it exactly where I want it. I recently picked up a new Ergotron arm for my new Samsung monitor. That’s when the trouble started. There’s an industry standard, called VESA, that describes (among other things) where the holes go in the back of a monitor so you can attach arms and other mounts. The same standard applies to TVs which is why you can get most anyone’s flat panel TV, and any vendor’s wall mount, and, as long the weight is right, they’ll work together. Unfortunately, the Samsung 2490HM does not appear to be fully VESA compliant. The holes don’t match up with the Ergotron mount and there is a weird rectangular depression in the monitor that keeps the brackets from fitting. Because of where the screw holes are, even if the brackets did fit in the depression, the washers for the display will not. And even if the washers fit, the holes are too small for the screws. I don’t know why Samsung would choose such an odd design. It’s not like they sell their own competing monitor arm. In fact, my first attempt to fix this issue was to shop for an adapter from Samsung or someone else who might make an appropriate one, but I had not luck. I next contacted Ergotron through their website live chat. While I was doing this, I also Tweeted my frustration. On the live chat, I spoke with (or typed with) Laura S who was awesome. She asked about my problem, asked appropriate questions about the issue, and didn’t type down to me. She had not heard about the issue before and said she would forward it on to her engineers. I offered to send pictures of the issue to make it more clear, and she gladly accepted the offer. She gave me an email address and I sent over the above images, plus a few more. A couple days later, I heard back from her that their engineers found a solution involving some spacers, and she promised to send out a kit. She followed through and sent me the additional hardware, at no cost. There are a few components to the fix. They include screws, plastic spacers, and a metal plate. The goal is to attach the monitor to this plate on the arm. First I add the spacers into the holes on the metal brackets that originally came with the arm. Then I place the black plate in the center of the indentation. This is important, because ultimately the silver plate on the arm will screw into the black plate in the monitor. The spacers now mean the long silver brackets don’t need to go in the indentation. They can firmly attach to the monitor and sit between the silver and black plates. And it’s fixed all I had to do was attach it to the arm, and now my control center is in place. One more thing. Remember how I mentioned Tweeting about my frustration? While I was in chat with Laura, I got an @ reply from Ergotron offering assistance. I responded that we seemed to be on track and @Ergotron followed up again a few days later just to make sure. Next time I need a monitor arm, I'll look at Ergotron first. I saw them in St Louis, and now, they are in Tokyo. Is it really that much of a surprise that the Cylons have moved there? Hamarikyu Garden was just outside our hotel room in the Shiodome area of Tokyo. If our room had been on the opposite side of the building we would have had a great view of the garden. The garden was Shogun family falconry up until the mid-1600s when it was confiscated by the government. It became a public park in 1945. Tokyo Bay essentially surrounds the park and salt water influences the creatures and plant life in it. The least pleasant aspect of the garden was was the entrance. I’m not sure what it was (the still water or some plant nearby) but right near the water there was a really pungent, musky smell. If you just walk another 15 feet you now longer smell it and can enjoy the park without olfactory offense. Tokyo is filled with buildings and concrete, yet there are these huge pockets of green. When you walk into the gardens, it’s striking how the skyscrapers start at the very edge. It’s a great contrast between the natural and the artificial. I also like the trees growing into the arbor on the is one. The other thing I find interesting is the dry stream bed. No water flows through there at the moment, but I enjoyed the way the tall weeds looked against the trees and the shorter grass. A stone bridge also crosses the weed bed. Another area of the park was set aside for family and other types picnics. We saw a boy and his father running about the area the morning we visited. At many green spaces and gardens in Tokyo, we saw people sketching the scene in their sketch pads. The fact that people did that was not unusual. The fact that so many people were doing it did surprise me. Is sketching/drawing a popular hobby in Tokyo? People of various ages and genders sat down it the parks of Tokyo to sketch. Most of the time when I encounter that in the US, it’s mainly art students doing their homework, rather the general populace engaging in a hobby. I like the look of the small, white flowers in this seating area. Much of the sketching takes place around a central pond, which also had some wooden bridges crossing it. Since the grounds were originally for hunting birds, it’s no surprise that there would be hunting blinds. These images are of the ko-nozoki. The pond on the grounds draws ducks. The builders construct a creek with steep sides and at the end is this “observation” area. Ducks are lured down the creek to the hunters/spectators. The more adventurous can go mountain climbing in the park. We summitted Mt Shinhinokuchi. It took about 4 minutes. The garden is probably best known for its 300-year-old pine tree. It is the biggest Black Pine tree in Tokyo. Over the years they have taken great strides to protect the tree. All of the major branches are supported by stanchions. It may not be the most popular garden in Tokyo, and it may not be the biggest, but Hamarikyu is a nice place to visit and take a break from the city. The park opens at 9:00 AM. As a tourist, if you are staying at a hotel nearby, visit the Gardens. It might also be a good stop to add if you are already going to Tsukiji. Watch the Tuna Auctions at the market, have a leisurely sushi breakfast, take your time and then wander on up to the garden.